Universal Tongue is a project about the internet as an anthropological space, artistically delving into (so many) ways of lively embrace life online through dance as a universal form of cultural expression. The artwork and research database embody the way we fluently interact with the internet, are part of its ever growing kaleidoscopic representation of our global media society, and evolve with it as excited participants. 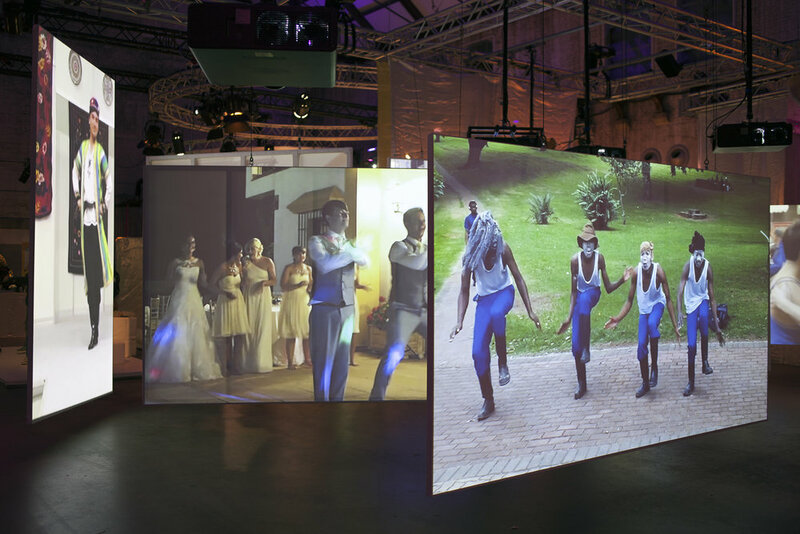 8.800 video, selected by 50+ researchers from all over the globe in a four hour multi channel video installation and an extensive databases, tagging the 1.000 dance styles represented. And dance we will. We do so solo, in style, with a webcam, or as devoted representatives of our social life, our social circles, our peers. Universal Tongue shows us in our natural habitat, online and offline, living in our time of endless connectivity and mutual recognition of individuality as a human achievement and joy. And this serves as an introspective tool, through the internet we see ourselves as part of a whole world of contemporaries, our fellow digital denizens in full playful vigor. 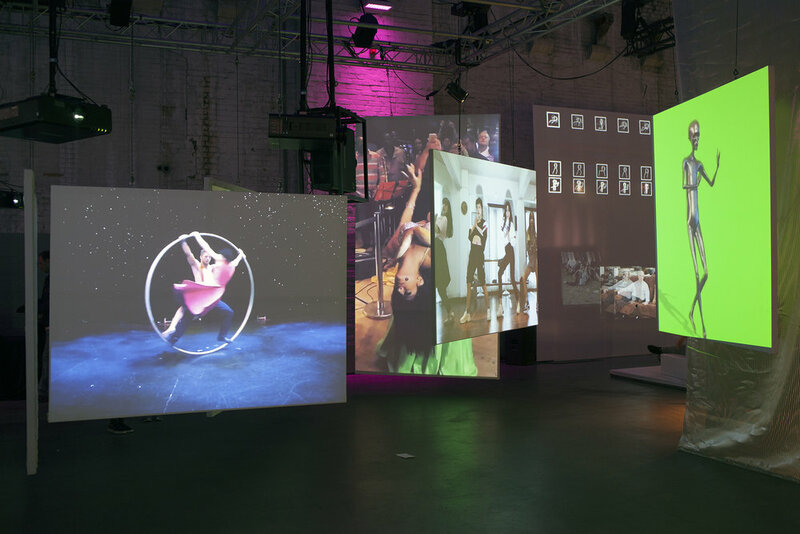 Universal Tongue was commissioned by Cinekid for the 32nd edition of the festival, presented in Amsterdam in October 2018, and was supported by the Mondriaan Fund.